This is a different kind of toaster pastry. Don't expect any frosting or gooey filling like you get with Kellogg's Pop-Tarts and similar products. However, you can expect a lot of flavor and a freshness you don't get with those other products. 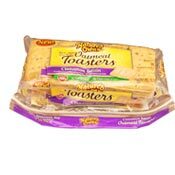 Oatmeal Toasters From Nature's Own are basically interesting slices of bread. They're squares that you split in two and toast. Their shape struck me as a cross between a Pop-Tart and a Pillsbury Toaster Strudel. I tried two varieties. The Cinnamon Raisin Oatmeal Toasters reminded me of a good, fresh raisin bagel. When I added a smear of butter, it brought back memories of the last time I made raisin bread. When toasted, the texture is somewhere between toast and bagel... dense, but not too dense. The other variety was Orange Cranberry. The flavors of this one reminded me of muffins I've made with orange zest. The taste is brighter and maybe more interesting than the Cinnamon Raisin's homey, familiar flavor. The cranberry component is a bit subdued. If you eat too fast, you might not realize it's even there. But if you eat slow and savor a bite, you'll think, "Oh yeah, cranberry and orange go pretty great together." I tried both varieties toasted and untoasted... with and without butter. Both varieties were best when toasted with a very light spread of butter. If I were pressed to pick a favorite of the two, I would go with Orange Cranberry just because it felt somehow more unique than the other one. Then again, I really liked how the Cinnamon Raisin Toasters nailed the traditional flavors of a good bagel. I'm conflicted. Therefore, I declare a tie. They're both winners. The $0.00 price amount below indicates that the company sent free samples of this product for me to review. What do you think of Oatmeal Toasters? The Cranberry Orange Oatmeal Toasters are fantastic!! I love them. I've written to Natures Own asking them to bring them back. EVERYONE, please also write to Natures Own asking for them to begin baking them again. I live in the Houston, TX area and I can not find Toasters. I really love these Toasters and don't know why they quit making them. Not fair! I have the same problem. My local Food City had the orange cranberry toasters just long enough for me to get hooked on them, then they don't get them anymore. Please send more to every store ASAP! Once I finally found a very good product, they discontinued, why? I also searched high and low and am devastated that they're discontinued. Awesome breakfast with peanut butter. Bring them back! Are they still available anywhere? Please bring them back! Breakfast is not the same. Loved it with peanut butter. 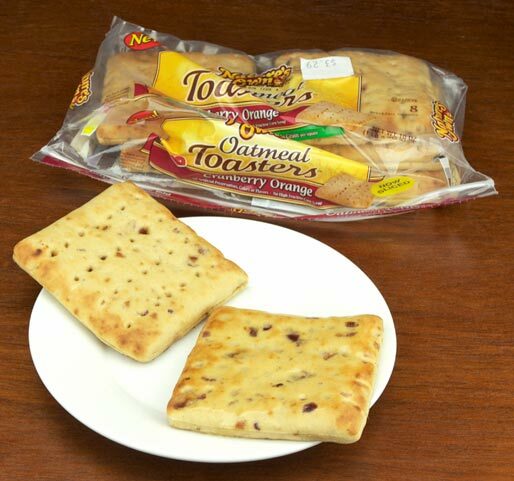 I cannot find the Cranberry Orange Toasters anywhere here in Tampa FL. I love them! They're great with peanut butter and sliced strawberries or peaches or cream cheese or just butter. I really miss them! Please bring them back. I'm very upset too. I was traveling to every store in my area looking for these. Now seeing that Natures Own doesn't even list them on their site. I guess my fears have come true. I have used A full tank of gas searching Walmart, Kroger, Heb and other stores looking for this bread. Is there a way I could order this bread online? 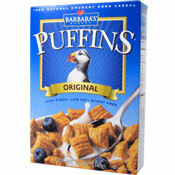 Loved these with peanut butter. Why are they gone? I purchased these regularly until they recently disappeared from both Wal-Mart and Kroger in my area. Sadly, I am now down to my last package with no prospect of finding more. Oatmeal Toasters were a valuable part of my diet until they were discontinued. WHY! I don't think they were displayed well at all in Wal-Mart because every time I went to buy them they were somewhere else or behind some bread. I really had to dig to find them. They were unique. Something no one else had and if I knew they were going to discontinue them I would have bought all I could find before they did. Now I am trying to find a recipe so I can make my own. They were much better for you than bagels. Bagels are highly over rated. Oatmeal toasters not only were unique and good... they were good for you. 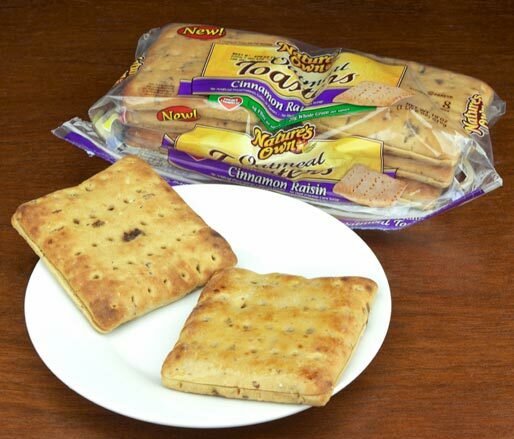 It is a shame a good product is discontinued because it didn't sell like bread or bagels do. I am sincerely disappointed! I am having trouble finding them. We really like them. There are never enough at Wal-Mart. I really like these toasted with chocolate PB spread on. Also good with cream cheese (whatever flavor you like). My problem is that now I can't find anyone who carries them. Please advise. Thank you.